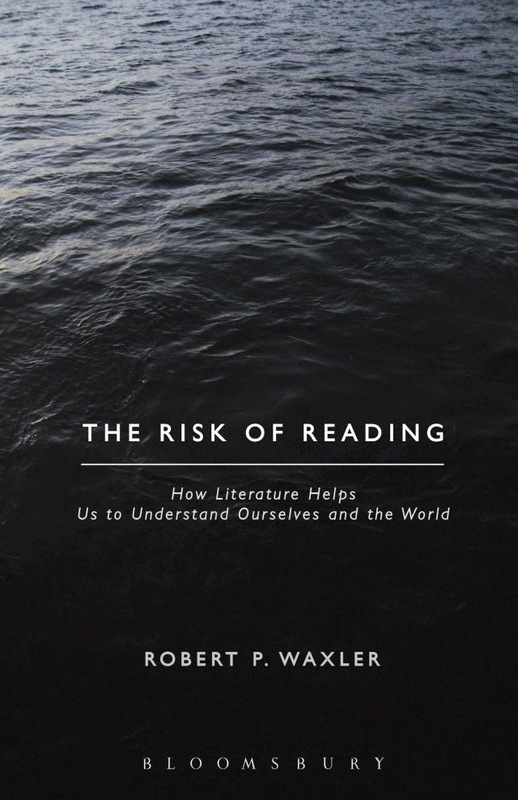 In his new book, The risk of reading, Robert Waxler argues that deep reading of the kind in which we engage when we read a novel, is not just a pass-time. It’s important. It enables us not only to understand the world, but to understand ourselves. Waxler is professor of English literature who, with a friend who was a judge, Robert Kane, started a program called Changing Lives Through Literature. The program, discussed in OnFiction in 2008 (click here) enables young offenders to be sentenced to probation rather than jail on condition that they attend a seminar on literature. With Jean Trounstein, Waxler wrote a book on the project called Finding a voice: The practice of changing lives through literature. In the first chapter of his new book, Waxler proposes that the risk we take when we engage with a novel is that we may find ourselves changing as we read. We may find ourselves reflecting on our life, and the lives of others. We may find ourselves setting off on a path towards a more democratic, more humane society. Waxler is also concerned with another risk, which is that the modern digital world lures us away from deep reading. The digital world, he says, is a world of images, seductive and immediate. They divert us from language. Without language, and in particular without narrative language, we can never understand the meaning of our lives, or the meaning of life in general. This is a serious argument. How can we evaluate it? It is true that new technologies can alter our engagement with ourselves and with language. Johannes Gutenberg’s introduction of the printing press to Europe, around 1440, was a first step towards universal literacy that everyone now agrees is the basis of education. In medieval times, when books had to be hand-copied, deep reading was available only to the very few, probably mostly monks. Literacy and printing made way for the novel, which flourished in the nineteenth and twentieth centuries.The novel enabled many more people to read deeply. Many have, like Waxler, worried that the digital age means the end of the novel. I am not sure that this is happening. The main print-medium that has suffered from television and digital media has been the newspaper. Each year more fiction and non-fiction books are published than ever before. One could argue that because the digital world now makes book-shopping so much easier, and book-carrying so much lighter, that more people might read novels. But, of course, one knows what Waxler is worrying about. The internet gives us access to a world of snippets, small pieces of information. Might these come to occupy our attention? Reading a novel is a process of engagement in which the attention is directed to a single work over a long period. It enables not just use of pieces of information, but reflection. Following his first chapter, Waxler has nine chapters in each of which he discusses a book that you might like to read, to open yourself to the kind of risk of deep reading that he has in mind. They include the Biblical creation story, Mary Shelley’s Frankenstein, Joseph Conrad’s Heart of darkness, Ernest Hemingway’s The old man and the sea, and Julian Barnes’s The sense of an ending. I found myself engaged by his discussions of them. Following these chapters, Waxler has a closing chapter in which he reiterates his opening arguments and makes a plea. Keep on reading deeply, and keep on reading novels. Waxler’s new book enables us to take one of his classes. In the book his concern is for our souls. Trounstine, J. R. & Waxler, R. (2005). Finding a voice: The practice of changing lives through literature. Ann Arbor, MI: University of Michigan Press. Waxler, R. P. (2014). The risk of reading: How literature helps us understand ourselves and the world. New York: Bloomsbury.